A commercial driver must have the ability to move large vehicles, as well as trailers, to various destinations. Responsible for the vehicle and all equipment begin moved. Must be aware of proper roadways to travel. In addition, must know proper laws of safely securing loads/equipment and follow them.This position, will require working knowledge of diesel engines and a ability to monitor your vehicle. Must have relevant mechanic experience. • Duties include the operation of straight body types, dump trucks, and crew vans. • Drug and alcohol free operation of vehicle. • Moving equipment and material in a safe and timely manner. • A commercial driver's license class A and/or B is required. • May be required to provide copies of driving record periodically for verification of driving status. • Experience in excavation and backfill, asphalt paving preferred. • Must comply with the company’s drug and alcohol testing requirements. 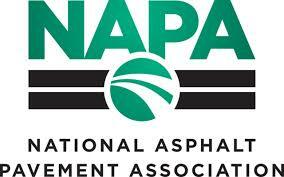 The Asphalt Foreman will directly supervise and coordinate the activities of asphalt labors daily performance. The Asphalt Foreman will perform tasks involving physical labor at parking lots by operating one or several types of maintenance equipment, such as skid steers, vibratory drum rollers, as well as, catch basin repairs, bollard installation or any maintenance project assigned to the team. The Asphalt Foreman will communicate daily the project status with Project Manger. In addition, the Foreman will ensure that all materials are installed per specifications for the project and all work is completed with Paving Associates standards..
• Measure slope and thickness of paving to verify compliance with contract. • Inspect completed work for conformance to specifications and standards. • Study production schedules and estimate worker hour requirements for completion of job assignment. • Participate and monitor the training and on-going development of subordinate employees. • Evaluate situations and suggest changes in working conditions and use of equipment to increase efficiency of work crews. • Coordinate work activities with Project Manager, Operations Manager and Concrete Foreman. • Record daily job information such as personnel, production time, material, equipment and operational data on specified forms and reports to be turned in daily. • Assign work to laborers, based on material and work requirements of specific jobs. • Order or requisition materials and supplies when needed. • Ensure proper jobsite signage is displayed at each project – this is a must. • Control traffic passing near, in, and around work zone. • Accountable for preventing the loading of company trucks that may result in overweight tickets. • Available to lead other Teams with special tasks when deemed necessary by the Operations Manager. • Facilitate safety meetings and crew mini-huddles. • Create a positive work environment through coaching and motivating to achieve company goals.